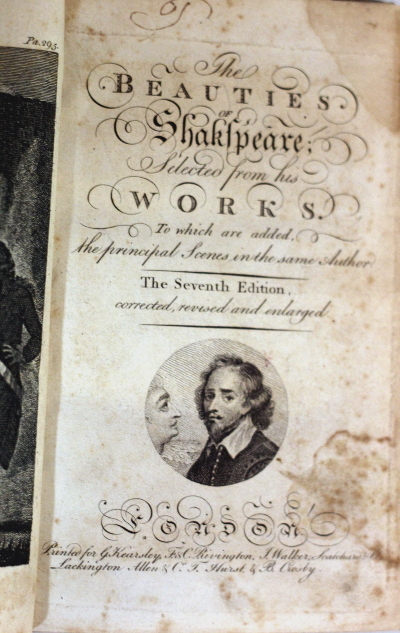 Title: The Beauties of Shakspeare, selected from his Works, to which are added the principal Scenes in the same author. Publisher: Printed for G. Kearsley, Rivington, etc. 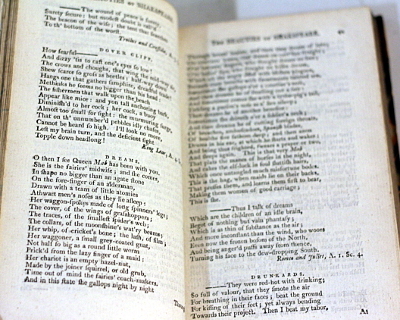 7th edition, the first edition having been published in 1784. 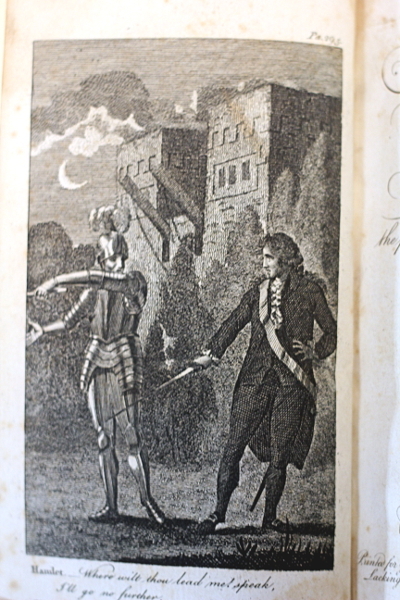 Most probably printed in the 1790s. Condition: Quater leather, marbled boards. Good minus. Rubbing to spine and edges of boards. Marbled edges. 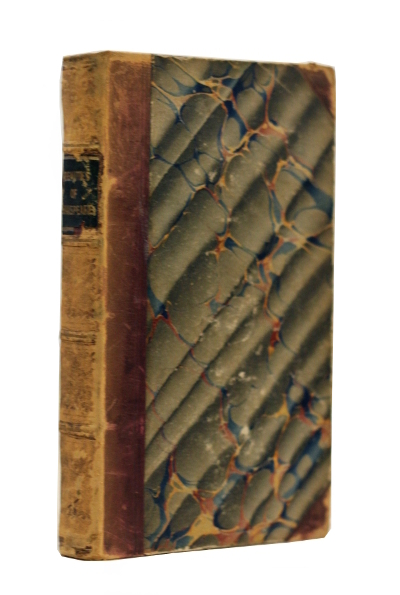 Title page foxed and stained, small bookseller’s sticker on endpaper and inscription on blank fly leaf. Text clean, binding tight. 393pp. A collection of excerpts from Shakespeare, categorized according to topic – e.g., “Mercy”, “Integrity”, “Music”, “Regret”, etc.